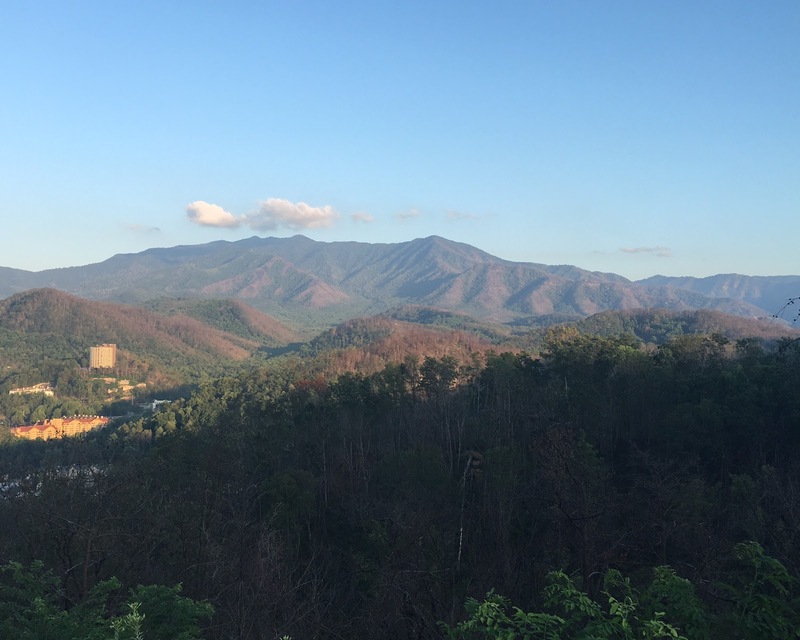 The Zinn Life: Fun in Pigeon Forge and Gatlinburg...without Dollywood! Fun in Pigeon Forge and Gatlinburg...without Dollywood! Last month, Aaron and I went to Tennessee with our friends Danny and Sarah. They have a timeshare/vacation package deal and asked if we wanted to go with them. Free place to stay? Who says no to that! 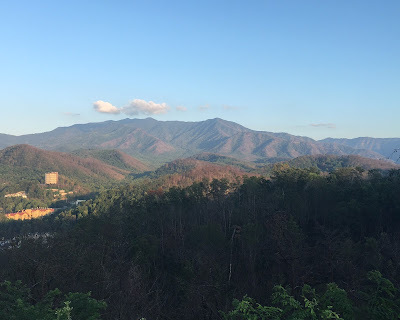 So we spent a long weekend in Pigeon Forge and Gatlinburg...without going to Dollywood! I'd never actually been to Tennessee before this trip. My family is in Virginia and we never went much further west into the mountains than that. Plus, when the Appalachian Mountains are in your home state, you don't really feel the need to go to the Great Smoky Mountains. But, I have this bucket list item of visiting every state before I die, so I was excited to go! Our first day there, we went to this attraction in Pigeon Forge called The Island. It was super gimmicky, but also probably where we had the most fun! We did a mirror maze, a laser obstacle course, rode a ferris wheel (without wanting to die! yay! ), Aaron and Danny did a ropes course and Sarah and I shopped. View from the ferris wheel. The cars were completely enclosed and had air conditioning. View from the other side. It was such a beautiful day! And we finished the day by eating at Paula Deen's Family Kitchen. Guys. That food. It was orgasmic. First off, it's family style and unlike Maggiano's, you don't get to take home the leftovers. So whatever you get, you have to make worth it! 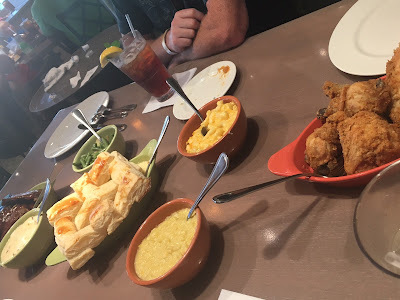 For $22 a person, you get a bread appetizer (think Red Lobster cheddar biscuits on steroids), three meats, four vegetables, and each person gets a dessert. Dear Lord. It was amazing. Biscuit, pancake AND apple butter! Our spread! Ribs, chicken pot pie, fried chicken, macaroni and cheese, green beans, creamed corn and mashed potatoes. I got the peach cobbler for dessert. So, so good! And we rolled out of there. Pretty much literally. That night, we talked about what we wanted to do. We were pretty set on Dollywood...until we looked at prices. Had we looked at prices before we went to The Island, it probably wouldn't have been as bad, but we dropped some money the day before. 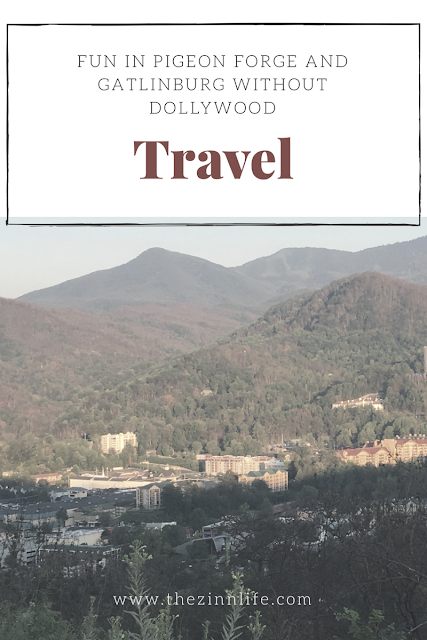 So a discount ticket to Dollywood of $55 a person, plus taxes, was more than we could stomach. Especially since I couldn't do most of the rides. We decided to do some other stuff instead. 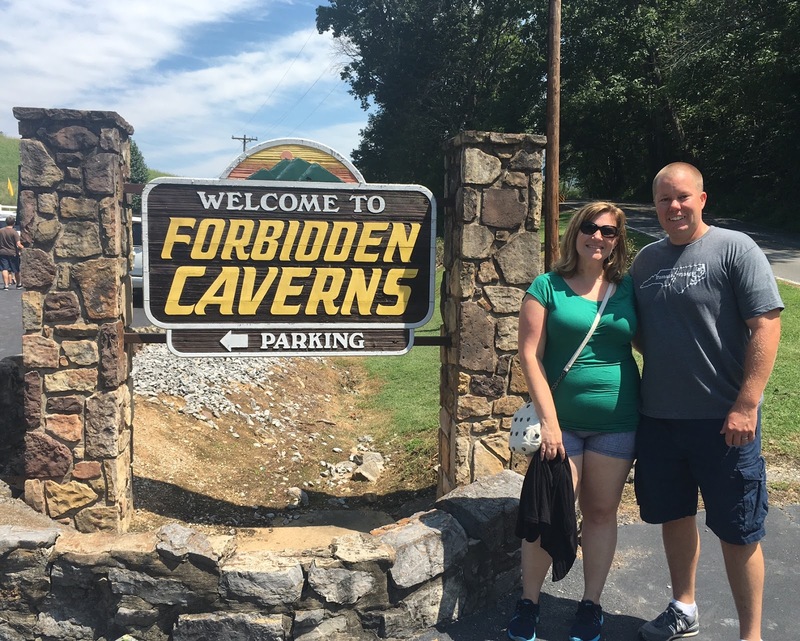 Our first stop was the Forbidden Caverns. 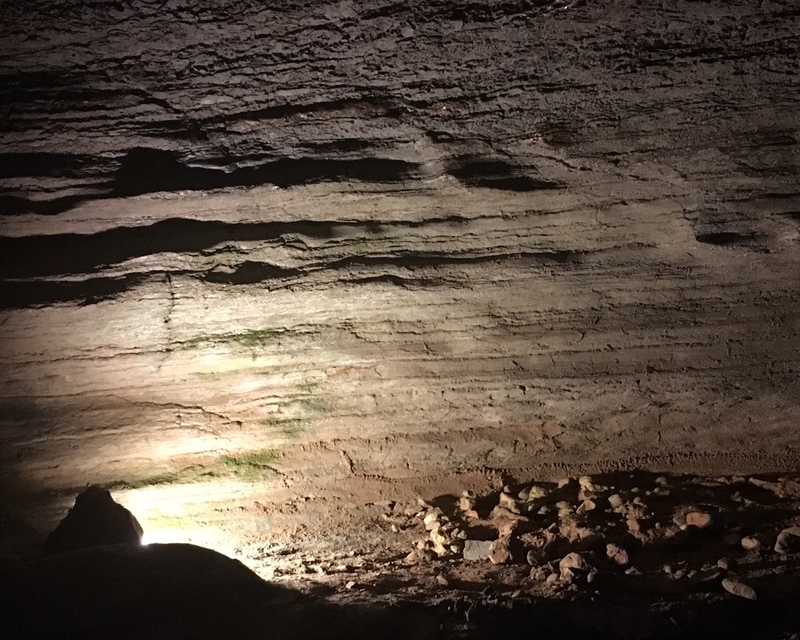 It's one of the few living limestone caverns left in Tennessee and was originally used by the Native Americans to keep warm in the winter and later by moonshiners! It was the moonshiners that made the caverns known to the family whose land it sits on. Pretty cool! The limestone formations were amazing! And wet, you got dripped on - a lot! I loved all the striations in the rock and how you could see just how old these caverns are! The natural entrance. Apparently, bootleggers came in this way and brought the stills down with them. Nuts! This was actually my favorite part of our trip. The caverns were just so cool, especially to see the spring water that ran through the cavern. I love being able to see some nature still left untouched. We ended the day in Gatlinburg. Which was insane because it was the weekend before the eclipse and Gatlinburg was in the path of totality (I believe). There were people everywhere. I probably would have enjoyed it more on a different weekend, to be honest. We visited OberGatlinburg, mostly because I wanted to ride the lift up the mountain. View on the way back down the mountain on the tram. When you're okay, but you're friend isn't and you make her take a selfie with you! You could actually see pretty definitively where the wildfires were and where they weren't from the tram. It was crazy to see just how close it got to Gatlinburg! On our way back, we stopped at a scenic overlook of the Smoky Mountains to capture some photos. This is where we took our baby announcement photo. And, because I love you, here are some of the fail photos! Our view from the scenic overlook. That is quite possibly one of the most unflattering photo of me, but Aaron's brush off game is strong! We had a great time in Tennessee! I could definitely see us going back there again and, honestly, I really don't feel like I'll miss Dollywood next time either! So fun! I'm glad you pointed out some of the other really cool things to do there besides Dollywood. I loved DW as a kid, but I think I'd like to do other things if I went on an adult trip! The caverns looks super fun! 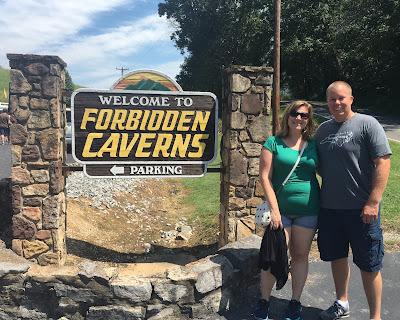 We loved the caverns and all agreed that it was much better than Dollywood probably would have been. The guys were only willing to go because we wanted to, but were much happier that we nixed that idea! A free place to stay in Pigeon Forge and Gatlinburg? That's awesome! Looks like such a great trip, and aren't those caverns so cool?! 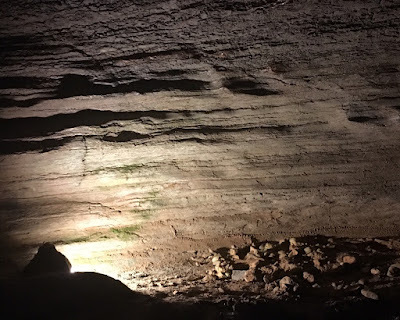 I love going caving :D I'm glad you got to see the Great Smoky Mountains, and your baby announcement photo is so cute! Yes! Free is the only way we are traveling right now! I'm learning to really love and appreciate nature lately. And thank you!